These are original .22" Lee Enfield, Rifle No8 Mk1, Foresights. The foresight on the No.8 Rifle differs from others in the series. 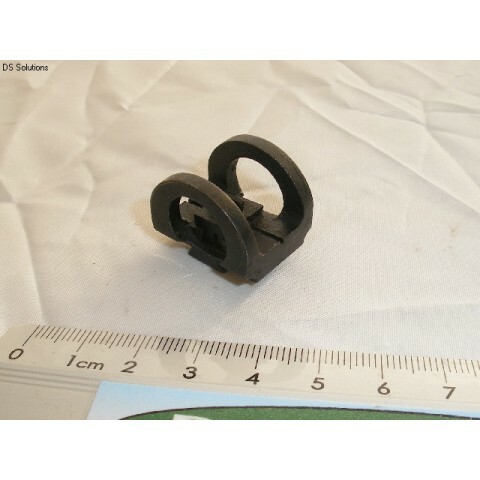 There is a fixed foresight block which is pinned and usually soldered to the barrel. It is of the split type with a simple cheese headed screw used to close the split and secure the foresight protector in the block dovetail. The foresight protector itself has another dovetail machined into it which takes a standard foresight blade of the No4 Mk3 pattern. This can be adjusted for side to side movement by the use of a standard 'Foresight Cramp No3' (as used for the No4 Rifle). The item for sale is the Foresight Protector part of the assembly complete with a foresight blade. 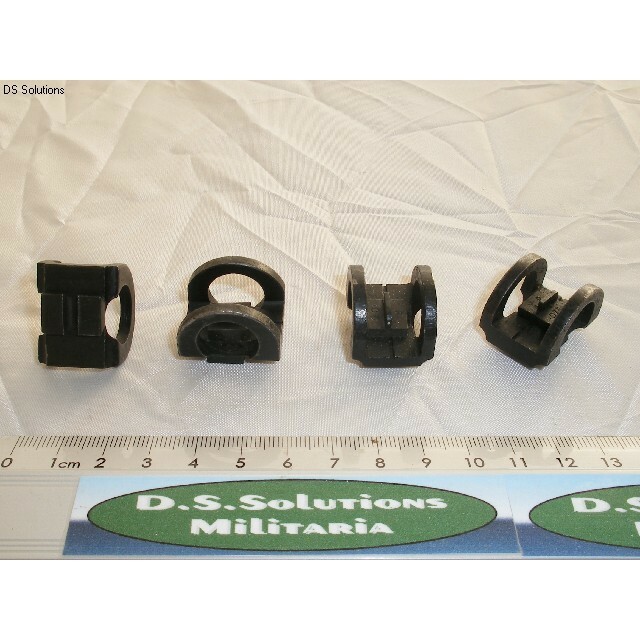 These Foresight Protectors have been salvaged from service rifles and although serviceable do exhibit varying degrees of wear to the black painted finish in addition to the usual minor knocks and dings from day to day use. See photos for average condition. Unit of sale; 1 Foresight Protector with sight blade fitted.